© Leslie Hunter. All rights reserved. I wanted to get a shot of the arch. 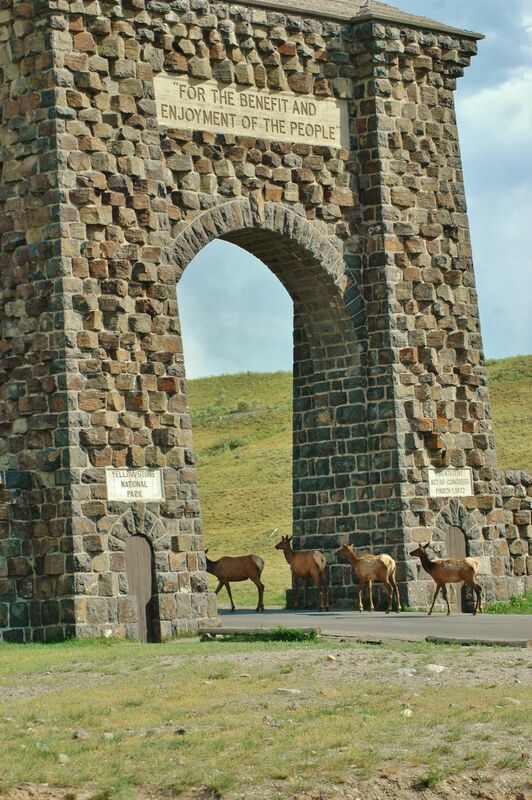 After exploring the park all day we parked and I got out; just when I was getting ready to shoot the picture these elk went through the Roosevelt Arch making the shot "priceless". Date Uploaded: Nov. 23, 2015, 8:52 p.m.